Wanting to save some time and energy on International service is only natural. It’s, after all, a physically and emotionally intensive period for everyone involved. Is it a short distance or a long distance international move? Intlmovers can help you find the right international moving company to help you with the task at hand. Get expert help and save yourself a lot of work! International moving can be expensive so it pays to do a little research beforehand. If you don’t have the time or the patience for searching around, let Intlmovers do the work for you. Using the handy drop down menu feature below. You can simply select where in the world you are moving from and to. You can easily find up to six international moving specialists for the region you are searching for. You are immediately presented with a list of international movers who are adept at handling moves to your intended destination. Once you complete the short request form with a few basic details about your international moving requirements, the international moving companies receive your request immediately. They will respond directly to you to arrange your customised quote. There is no chasing around and you are left free to compare your quotes and make your choice at your leisure. The international movers have years of experience with moves. International moving can be a stressful and busy time. So it can really be valuable to have a few tips and tricks at the ready for your international service. Some of the experts have put together a handy list of common issues and feedback that can help you and your family prepare for you international move. Time goes fast so try and be as prepared as possible. The funny thing about time is that the closer it gets to the deadline, the faster the sand seems to flow through the hourglass. If you leave things to the last moment, it can become even more stressful on everyone involved. By allowing a little extra time beforehand, you can help cover off any issues should something go wrong. It’s always better to allow yourself a little breathing space just in case you have any hiccups along the way. Take advantage of offers from others. It doesn’t matter how small the task. If you’re trying to do everything yourself, then all those small tasks soon become a very time consuming exercise. If someone has a trailer that can assist in taking a bunch of unwanted scrap to the recycling yard, make use of it. If a trusted friend or family member offers to look after the kids for the afternoon to help you get things done interrupted, this can really help you get things done much faster. Make checklists to keep track of what you have done, haven’t done and maybe add in some things you forget to do and just remembered. It might seem like you can keep track of it all in your head, but it also helps the other person know what is going on as well. Use professional services for international moves. 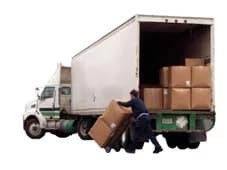 They understand the ins and outs, the logistics and the right techniques to help move you more safely and more efficiently. Whilst you do pay for professional services, it can save your back and your legs. As well as your walls and furniture, and just maybe a little of your sanity too! Having experience in a certain field allows you to be better prepared to handle any situation. International moving companies that partner with Intlmovers have many years of trusted and reliable experience in the world of international transport and logistics. They can provide you with a streamlined service that will help ensure your possessions are shipped efficiently, and arrive at your chosen destination without disruption. Comparing quotes is a good way to discover all your options and additional services that may be available. When you compare quotes with Intlmovers, they are provided by the international moving companies. Completely free of charge for you to make your own evaluation and decision. You should only accept a quote if it meets your international moving needs and budget. All quotes are provided without any obligation whatsoever. So there is no reason not to compare international moving quotes with Intlmovers.